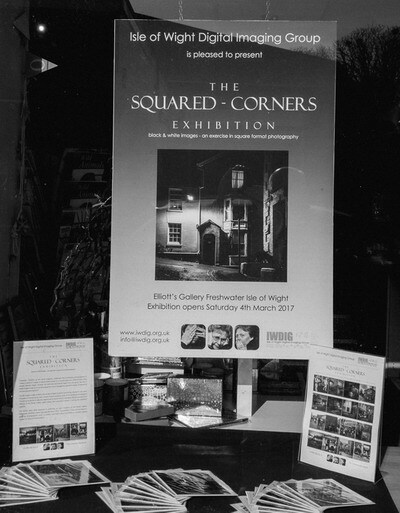 The Isle of Wight Digital Imaging Group are launching a new exhibition ‘Squared Corners’ which features a stunning array of photographic work from just 17 members of our group. The common thread linking the ‘Squared Corners’ exhibition is that all of the Black & White images relate to corner locations on the Island and were created in a square format. Following the private launch event at Elliotts in Freshwater (on Fri 3rd March) the exhibition will open to the public on Saturday 4th March 2017. (Elliotts 21 School Green Rd, PO40 9AJ).